Saw two hummingbirds outside work today. Pretty neato! I haven't really seen any since I moved to CA. It's good to know the little things still exist. 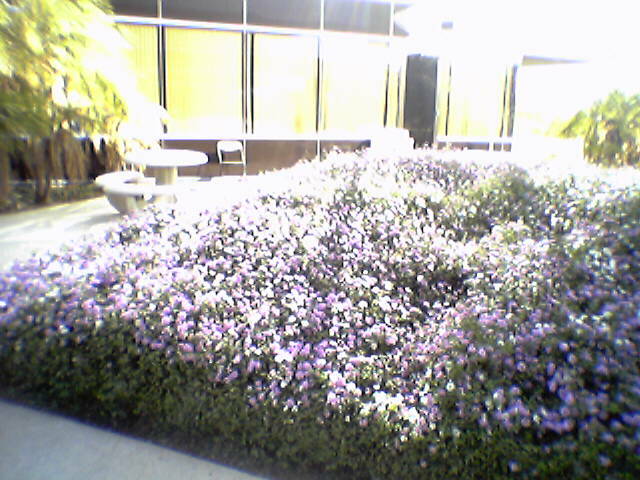 They were drinking the nectar of the large square of flowering weeds that grows outside the east side of my building. In 7th grade, my brother did an experiment to determine what type of food to feed your backyard humming birds. He did different ratios of sugar to water and compared colored water to non-colored water. I forget the ratio that was the best, but they definatly preferred the non-colored water. The 4 post flower style feeder was the most popular as well.